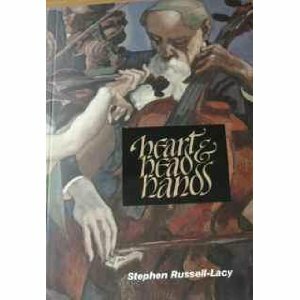 by Stephen Russell-Lacy. Seminar Books, 2008. 978 0 907295 36 5. (paperback) 180pp. £10. “A fine little work … that will warm the hearts of the general public and all practicing Swedenborgians who are of a non-technical bent. …We find ourselves understanding a text while feeling that, at the same time, we are liberated by just reading it. This happens in many places in the narrative. Eugine Taylor, The Messenger, Oct 2008. “A long overdue and useful contribution. This book is well written and easy to read, not things that often are to be found in a work that deals with the work of the 18th century philosopher Emanuel Swedenborg. The author draws on his wide experience as a cognitive behavioural therapist and draws links between the ideas and modern thinking on these topics, but always in a clear and sensible way. E. M. Preston, amazon.co.uk 4 Jul 2008. “As a clinical psychologist Russell-Lacy has spent a lifetime helping to alleviate the distress and suffering of emotionally and psychologically disturbed individuals. Unusually, he draws in his work upon the psycho-spiritual insights and ideas of the religious philosopher Emanuel Swedenborg, and in this book he relates these to the theory and practice of cognitive-behavioural psychotherapy. “The author demonstrates a wide understanding of the various approaches to psychotherapy and schools of psychology, as well as a range of religions and spiritual disciplines. He also effortlessly integrates these with the writings of Swedenborg in a way that is enjoyable and practical. Far from being a narrow approach to life and spirituality this is a remarkable book in its ability to cover so much territory in such a short space of time. Previous Previous post: Why do we have to suffer troubles?